Some time ago I myself did visit my blocked user's list and discovered that there was a friend of mine I mistakenly blocked and unblocked him. In view of that, I have decided to compile this post. 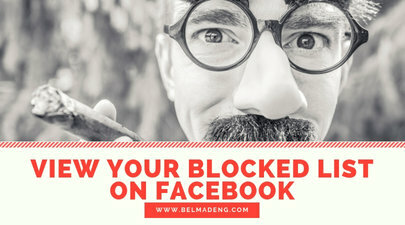 In this post, how to view your blocked list on Facebook, you'll see how to find or locate your blocked users on Facebook and how to unblock them if you wish. 2. Click the question mark icon in the top right of any Facebook page. 4. Next, choose How do I stop someone from bothering me? 5. Finally, click View All Blocked Users.